(Newser) – For the first time in more than 60 years, the people of Burma are able to kick back with a Coke. 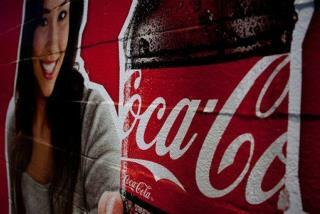 Now that US sanctions against Burma are over, Coca-Cola has teamed with a local manufacturing firm to ship Coke, Coke Light, and Sprite all over the country. It's also planning to start production and bottling in Burma as soon as it can. how very sad. soon these poor people will get sick from this and then they will have to pay us big bucks to get our meds. what a dirty trick. shame! They need a COLD Coors! THANK GOODNESS !!!! Now when I go to Burma, I can have a Coke ! !